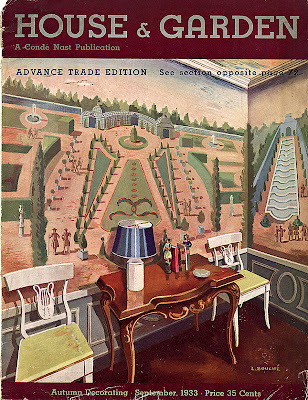 from a 1933 House and Garden cover, courtesy of nostalgiaville. What sort of a garden would you say this is? Italian? French? American? English?